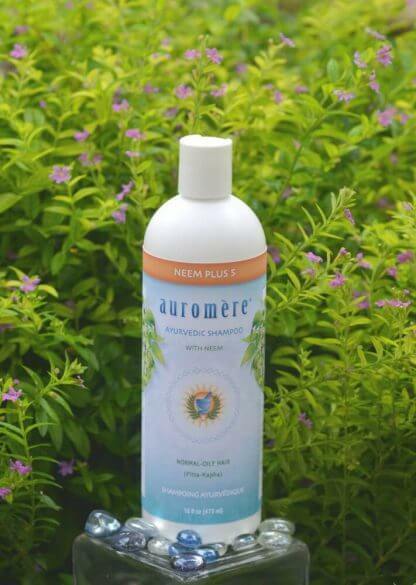 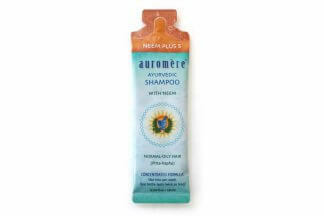 This unique Ayurvedic formula includes Neem (the premier herb for skin and scalp) ‘plus 5’ other potent herbal extracts: Reetha, Shikakai, Henna, Amla and Methi – all prized for their natural cleansing, nourishing and rejuvenating effect on the hair and scalp. 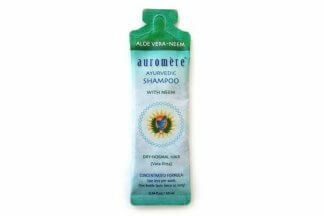 Recommended for normal, oily or thinning hair. Purified water infused with extracts of Neem (Azadirachta indica), Reetha (Indian Filbert/Soapnut), Shikakai (Acacia concinna), Henna (Lawsonia inermis), Amla (Indian Gooseberry), and Methi (Fenugreek); Alpha Olefin Sulfonate, Polyquaternium 7, Cocamidopropyl Betaine (from Coconut oil), Rose Ether, Potassium Sorbate (Potassium salt), and Tulsi (Holy Basil) oil.